No, haters, Wompy Woods is not a new level in Mario Party. 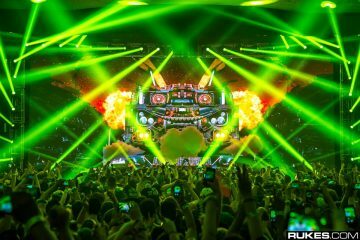 As a matter of fact, it’s a huge development in Excision’s highly anticipated Lost Lands festival. For the second year of madness, the Bass Music titan announced a five-story-high main stage #2, bound to host some of the big artists who are hitting the festival up, as well as an additional set from the man himself. All of the scheduling will go live tomorrow via the Lost Lands app, so there’s not too much time now before bassheads get to unite on the most insane weekend to date. Check out the announcement below and look out for the app in stores soon.